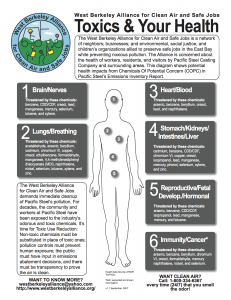 The community around Pacific Steel Casting Company (PSC) has experienced numerous health impacts and quality of life challenges for many years. 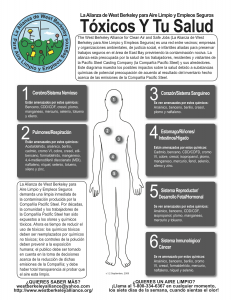 Toxics_and_your_health (toxicos_y_tu_salud en español) is a fact sheet that details how people’s bodies can be impacted by the known pollution from PSC. Many community members have complained about suffering from headaches, sore throats, irritated eyes, tightness in the chest, difficulty breathing and asthma attacks when they notice the distinctive burning pot handle/burning brakes/acrid chemical smell of PSC’s emissions in the air. Community members’ quality of life has suffered as a result of the polluted air. The ability of community members to enjoy living in their homes, relaxing in their yards, and visiting nearby parks with their families has been affected. The odors and toxic emissions emanating from PSC can cause residents to stay inside their homes and apartments with doors and windows closed, even during hot weather. Some residents who run small businesses in the area lose business due to air pollution driving customers away.